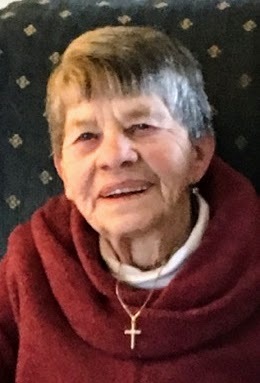 Obituary for Helen C. (Naylor) Shychuk | Beatty-Rich Funeral Home, Inc.
Helen C. Shychuk, 84, of West Newton, Pa. died Tuesday April 9, 2019 peacefully in Mt. Pleasant, Pa. She was born July 1, 1934 in Fellsburg, Pa. Daughter of the late Frank and Edna Snyder Naylor. She was an aid for the elderly in various locations. She was a member of the Sewickley Presbyterian Church. Helen loved the outdoors and was a very hard worker. She loved spending most of her time in her flower garden tending to her flowers. She absolutely adored her grandchildren, was very family oriented and loved her dog Bear. She is preceded in death by both parents, husband Andrew (Andy) Shychuk, one son – Rich Shychuk, three brothers and three sisters. She is survived by three daughters – Cindy Ankney and husband Steve of Mt. Pleasant, Pa., Michelle Batchko and husband Kevin of Yukon, Pa. and Tracy Rohland of Uniontown, Pa., one brother – Jerry Naylor and wife Darlene of Belle Vernon, Pa., one sister – Lynda Lennox of Fellsburg, Pa., six grandchildren, two great grandchildren and numerous nieces and nephews. Friends will be received from 5-8 pm on Thursday April 11, 2019 at the Beatty-Rich Funeral Home, Inc. Rt 136 in Madison, Pa. A private service will take place at the funeral home on Friday April 12, 2019 with the Rev. Eric Glisan officiating. A private interment will follow at the Mill Bell Cemetery in West Newton, Pa. The family would like to thank Kerrie, Lisa, Kelly and Kathy of Promise Hospice for all of their love and compassionate care provided to our mother. To leave an online condolence please visit www.beatty-richfuneralhome.com.